The Nigerian Bobsled team have dedicated their inspiring achievement as the first African team ever to participate in the sport of Bobsled to all Nigerians. 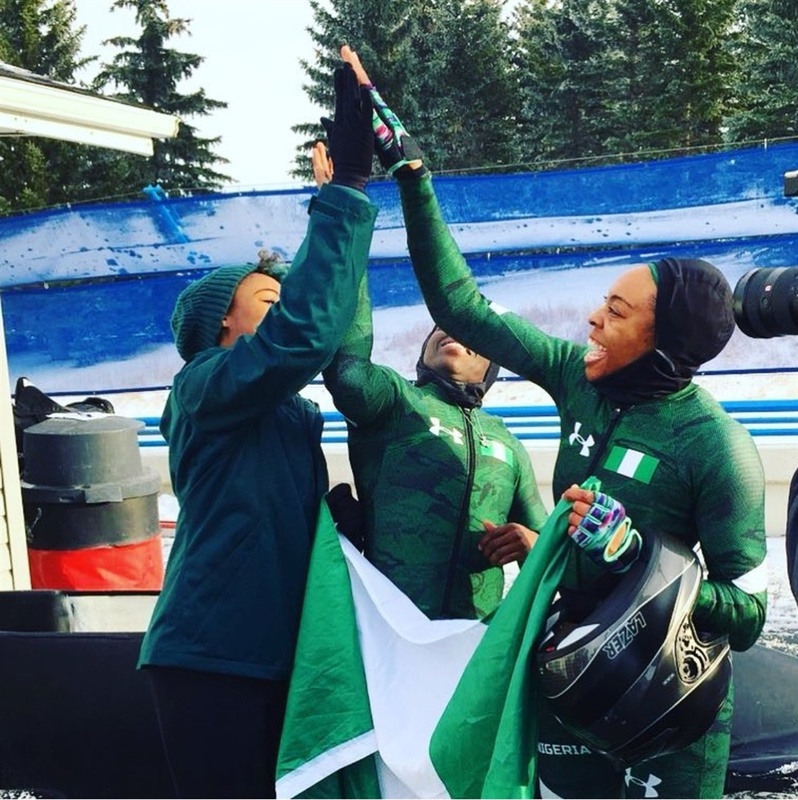 The three triumphant members of the Nigerian Bobsled team christened ‘Ice Blazers’ have dedicated their inspiring achievement as the first African team ever to participate in the sport of Bobsled to all Nigerians. Team pilot, Seun Adigun ably assisted by brakemen, Ngozi Onwumere and Akuoma Omeoga rode their sled down the tricky ice tracks to the finish line into history on Wednesday at WinSport's Canada Olympic Park in Alberta. It was the completion of the fifth of their required five qualifying races paving the way for the first attempt by an African country to contest for a Bobsled medal. The 2018 Winter Olympics international multi-sport event is scheduled to take place from February 9 to 25, 2018 in Pyeongchang County, South Korea. Speaking after her amazing feat, Seun Adigun, captured the huge moment describing it as a worthy honour for country and continent. She said, “It is a true honour to not only put Nigeria on an elevated platform, but to also represent the continent of Africa in a positive light. This is truly a blessing - a feeling like no other. We are inspired by the Nigerian can-do spirit and we hope to carry this positive energy to Pyeongchang and make the country and Africa proud again. This is dedicated to all Nigerians home and abroad. With big support from pan-African creative talent agency, Temple Management Company (TMC) and the Bobsled Federation of Nigeria (BSF), the Ice Blazers have garnered international attention from the media. The inspiring pursuit has also attracted keen attention from international organizations such as Toyota, Visa, Belton AG, Lazer and sportswear giant, Underarmour among others.